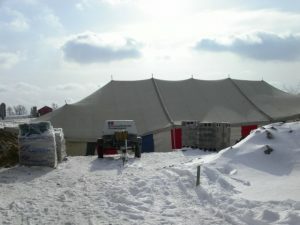 We can erect a tent over your construction site. A lot of variables involved. Can be used for storage while renovations are going on in your business.